I made this woodburning project today. It is a Trinket Box. 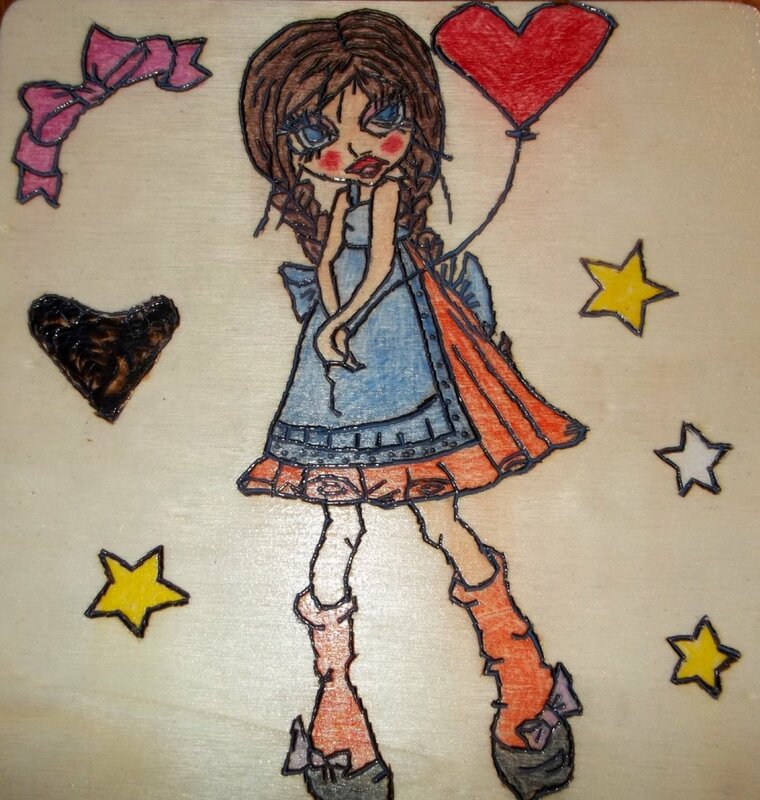 I used a digi stamp from Sherri Baldy - it's called "Fly Away Hearts". that is cool Frbbie. I could never do anything like that. I am not artistic at all. I can't draw a stick figure! Wow, How in the world did I write your name wrong? I meant Debbie. Sorry. Blames keyboard. I traced the designs on to it.